Buy these resin female basketball figure awards online and get fast turnaround, low prices and a custom engraving service. 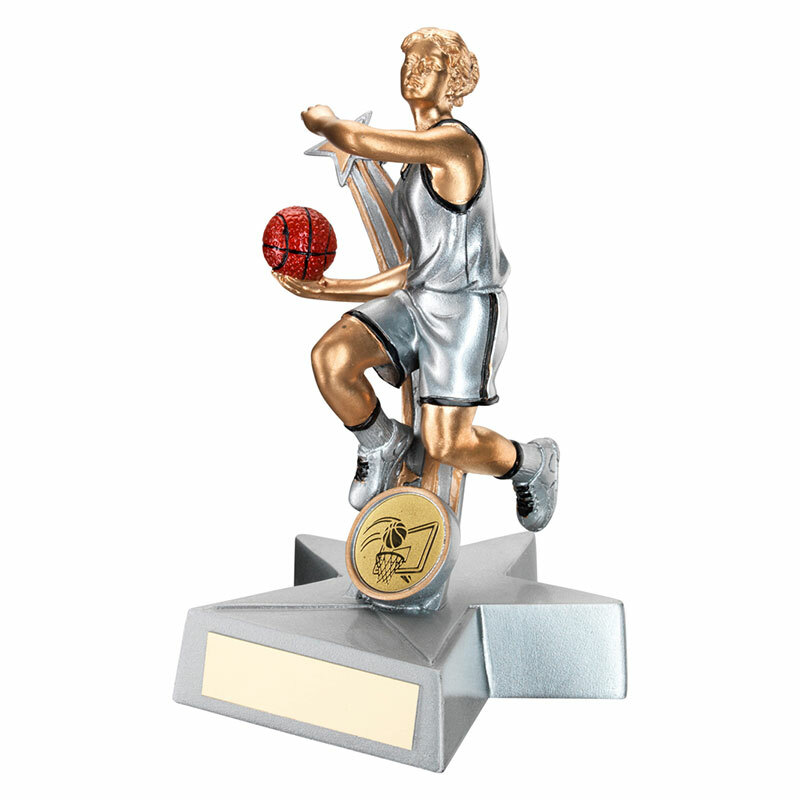 Ideal as gifts or awards for individual women basketball players, these resin trophies feature a detailed figure of a female basketball player set on a star shaped base with engraving plaque. The 8in (203mm) tall figure is finished in a two tone antique silver and gold colour.